Ask fellow campers about "Town & Country Camping & RV Park" and nearby attractions. Host was extremely helpful but it was very smokey in the office. He is proud of his park. He parked us in a 30A pull thru, which was JUST long enough for our 30' 5th wheel. We had problems with the 30A breaker, he came right away and moved us to a larger 50A pull thru. Appreciated the extra room. We did indulge at Lambert's...highly recommend it. We camped at Town & Country Camping & RV Park in a Fifth Wheel. As a previous reviewer mentioned, you walk in to some heavy duty cigarette smoke. However, the owner is an extremely nice old guy and very proud of his well-maintained park. This is not a fancy park, but it is well-maintained, well laid out and very neat. We had zero issues with 30 amp service. There are about 12 50 amp sites and all 60 sites are pull throughs. We liked that there was a shuttle service to Lambert's Cafe though we did not indulge. We were arriving late, 6:30, and the owner made sure we knew that he would be around for us, and he was. We would defintitely camp here again if in the area. Thank you for your hospitality. We camped at Town & Country Camping & RV Park in a Motorhome. By all means carb load at Lambert's Cafe, home of "Throwed Rolls." Stay far, far away from this Park. Check in at the office and you will be slapped in the face by cigarette smoke. Enough to make you want to PUKE! The sites are not advertised correctly either! My Rig is 63 ft. long, Tow vehicle and 5th wheel but does not fit completely in the space. You will need an electrical extension cord to reach the power box if you plug in from the back of RV. Then there is the power box, very scary. There are only a few 50 amp sites in this park and in this case, you have 2 - 50 amp plugs on top of the pole, with NO ELECTRICAL BREAKER, the plug is always Hot! Very dangerous situation. You can barely plug the 50 Amp into the plug, because there is another metal box right below the plug. And there is No Cover on the Plug to protect from rain. It is hard to believe someone hasn't reported this park to the City or Country Inspectors. This is a very dangerous and potentially hazardous condition! Stay FAR, FAR away from this Park! We camped at Town & Country Camping & RV Park in a Fifth Wheel. Good spot to park just off of I-55. Fairly open park with good utilities. Site was a little short for my rig and tow. Lots of long-term sites. Big thing is DON'T RELY ON GARMIN GPS! My Garmin 760 RV routed me west from the interstate when the park is East. Call the park or use some other nav-aid like Google maps. Once you are going the correct way (East) the park is easy to find. We camped at Town & Country Camping & RV Park in a Motorhome. Stayed here for two nights visiting family in the area. Price was OK. Utilities worked good, was extremely hot for the two days, 100 F each day with heat index over 105. Main issue was the restrooms, clean but no ventilation, also could use a larger facility. WiFi and cable worked good. We camped at Town & Country Camping & RV Park in a Motorhome. It was Friday night and we broke down near Sikeston on our way home from another camping trip. The owner of the park was very helpful in getting good us situated. He accommodated us with a ride to the store since we didn't have transportation for the first few days. He made sure we had everything we needed. The biggest problem was the nearby farmland. Mosquitoes were very thick and we were swarmed every time we stepped out the door and constantly had to fight them inside too. The bathhouse is a pretty good walk from most spaces and their is traffic noise at the front of the park, close to the road. Trees are sparse, so not much shade is available. The best thing is the location. There are stores, restaurants and gas stations with 2 miles. Lamberts, home of the "Throwed Rolls" is a couple of miles away and they have a van that is very quick to pick you up for dinner. The spaces are all pull-through and gravel. The park is not a fancy but maintained. We didn't mind our 5 day stay here but would not choose to stay here in the future unless necessary. We camped at Town & Country Camping & RV Park in a Travel Trailer. Sikeston is not a very large town. With the exception of eating at Lamberts or shopping, there isn't much to do here. It's a fairly small farming community. There was a rodeo going on while we were there. Second time here. Just stop over night. Well maintained RV park, not a campground. No fire pit. Has picnic tables. Owner very nice guy. This is open year around. We camped at Town & Country Camping & RV Park in a Fifth Wheel. The nice thing is this is close to Lamberts café (if you don't know about it look it up on line.) If you call them they will come and get you then bring you back no charge. Passport America (23rd Edition) and website shows the PA rate of $24 but we were charged $25. We called ahead to see if they had a pull-through long enough for a 38 ft MH towing a car. Park said they had plenty. On arrival we found the sites to be short. We stuck out front and back as did others with big rigs. The power pedestal was shared with the next site, and was equipped with 3 10-Amp breakers. Office reeked of cigarettes, was filled with clutter, and dark. Park is across from some kind of heavy industry facility which is noisy and smells bad. Noise starts at 4 AM. Trees need to be trimmed to avoid scratching. We wanted to do laundry, but the park had no quarters for the machines. The laundry did look nice though, and the site was gravel and level. Overall the park was clean and looked nice. OK for overnight, but too $$$. We camped at Town & Country Camping & RV Park in a Motorhome. We purchased our trailer in Illinois and were transporting it back to Texas. We chose Town & Country as a quick stop on our way back. We checked in late at night during a terrible storm. We were very happy to have a nice place to stay. The park host was a great guy and made us feel very welcome. The ladies bath and shower were very clean. It was a safe nice place to stay. Thanks We camped at Town & Country Camping & RV Park in a Travel Trailer. We stayed here only one night. It was very clean and well-maintained. The host was exceptionally nice. The sites are easy to navigate and level. Set-up and departure was quick and easy. Quiet, comfortable RV park ideally situated for highway access. 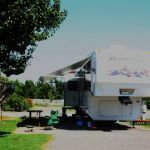 We camped at Town & Country Camping & RV Park in a Travel Trailer. Not good. Place is being sold due to owners age. Wi-Fi is barely there. I have amps and antennas to pull in anything for a mile. Took everything to receive it and then EXTREMELY slow. Had to pick up site ourselves. Whole park run down. Not really set up to accept big rigs. Paid $26 for night. That was supposed to be Passport America discount but I never told him I was a member. Even at that it's not worth it. We camped at Town & Country Camping & RV Park in a Motorhome. 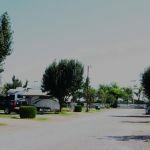 This RV park is very clean and well kept. There are trees, but they aren't mature so they don't offer much shade yet. Sites are gravel and level with concrete pads for a picnic table. The sites are called pull throughs, but they aren't very long. Our 40 footer just fit on the site, but since our tow vehicle was totaled two days before it wasn't an issue for us. This is a Passport America park. The park is also close to a great restaurant that will send a complimentary shuttle out to pick you up and take you to the restaurant. Once there he will sneak you in the side door and seat you ahead of the long line already waiting to be seated. We definitely would stay here again. We camped at Town & Country Camping & RV Park in a Motorhome. We stayed here for one night traveling through Missouri. Easy access to interstate. Pull through sites are gravel and level but not long enough to stay hooked up. Close to Lambert's Cafe which is why we chose this park. Manager was friendly. Office reeked of cigarette smoke. Quiet park we would stay here again for one night only. We camped at Town & Country Camping & RV Park in a Fifth Wheel. Smoky office. Cash only. Cable TV poor. Parking spots marginal for 35' Class A motorhome. We camped at Town & Country Camping & RV Park in a Motorhome. 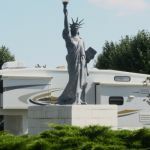 Are you affiliated with Town & Country Camping & RV Park ?